on September 29, 2016, 1 a.m.
Pokémon Go has caused quite a stir worldwide since its launch in July. Does the buzz still carry on more than a month after its launch? 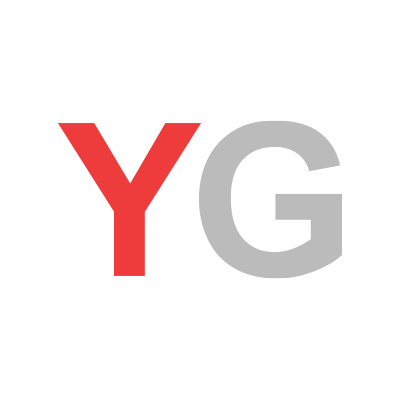 YouGov, the leading global market research firm, polled over 10,000 online consumers across Asia Pacific to investigate how popular the game is and how the game has changed the social behaviour of people who play it. Almost 90% of the respondents (88%) across the region have heard of Pokémon Go, with highest awareness levels in Hong Kong (97%) and Indonesia (97%), and the lowest in China (57%). To play Pokémon Go, players are required to use a smartphone app to seek out and collect Pokémon virtual monsters at real-world locations using augmented reality features. Less than two in five of respondents (37%) were Pokémon fans before the launch of the game. Today, 7 out of 10 respondents (69%) in APAC find the concept of the game interesting. Interestingly, in Australia, where the game was launched much earlier than the rest of APAC countries, only around 39% of respondents think the concept is interesting. 71% of respondents in Australia say they haven’t downloaded the game and don’t intend to do so. Only 13% of Australia respondents say they have downloaded and played the game. However in other APAC countries where the game was launched much later than Australia, almost half of respondents (49%) tried to download the game before the game was officially launched in their countries. Looking at the impacts of Pokémon Go on the players’ social behaviour and daily lives, 56% of those who have downloaded the game put the app icon on the first screen of their smartphones. Over half of them (52%) have played 1 to 3 times in the past 24 hours, and around one third of respondents (33%) spend 30 minutes to 1 hour per day playing game. Pokémon Go encourages other social media use? 44% say playing Pokémon Go make them use other social media more often as they want to share their progress on the game with others online. And almost half of the players (48%) say they will still spend the same amount of time playing this game once they understand it better. However, 7% of respondents have stopped playing the game already. Within this group, one in three (36%) think it’s too time consuming and they don’t have that enough time to play. About half this number (18%) say they don’t find it interesting at all, and 8% say they don’t know how to play. Almost 80% of respondents (79%) think the combination of virtual and real worlds and make Pokémon Go sound fun to play. Half of respondents (50%) think the game is interesting because they can have fun gaming and being outdoors at the same time. About one third of respondents (34%) like the game as it’s a very social way to play. For just over one-quarter (28%), they say they have always loved Pokémon and this game just satisfies that feeling of nostalgia. Meanwhile, among the 31% of respondents who don’t find the game interesting, almost half (47%) say they don’t see the point. About 4 out of 10 say they don’t play mobile games at all. Just over one in five (22%) of respondents say they have privacy and security concern as the mobile game needs to use their camera and geolocation functions. A quarter of the respondents in APAC think the buzz of Pokémon Go can only last for 4 to 6 months. 23% of the respondents think it can last for 1 to 3 months. 21% of respondents think it can last for 6 months to 1 year. Only one tenth think the buzz can last for over 2 years.